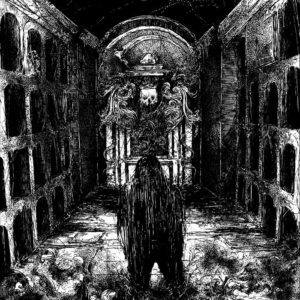 In 2019, I want to amass a collection of gross sounding death metal. Thank you 2019 for giving me my first of this year’s collection. 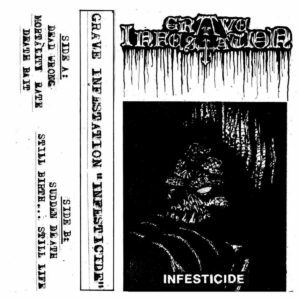 If you ever want to hear what blood stained concrete sounds and tastes like, allow Grave Infestation to overtake your beating heart. Wild guitar solos, ridiculous soundclips, and a band photo which looks like it has been run through a copier 100 times, this Canadian act is here to be antisocial and make jokes at funerals. I am just joking, they wouldn’t be invited anyway but are here to tip the casket. This is everything I love and am so glad I keep finding this stuff. 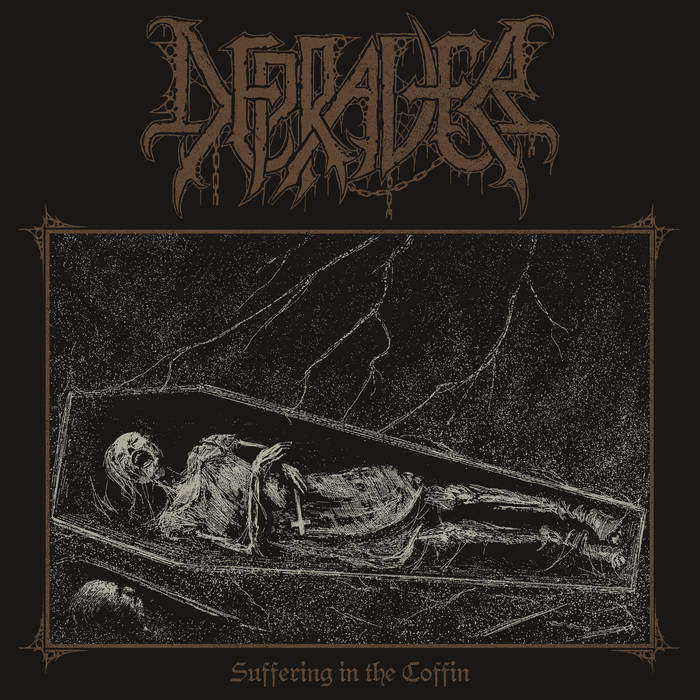 It is sort of late for a great 2018 death metal record and it is never really a good time for a live album but here we are. 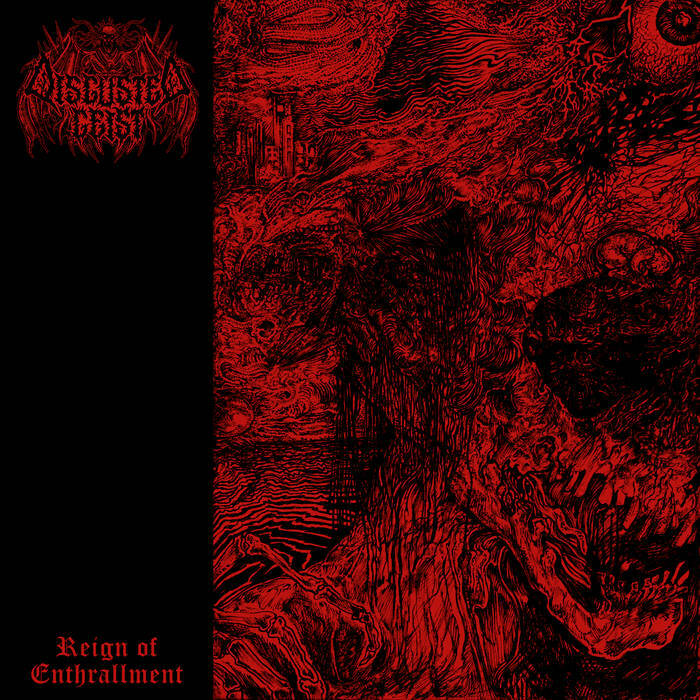 This sort of lackadaisical approach to actually releasing a record seems to be the marching orders for Rotten Tomb who has the look, sound, and feel of a hip grimy death metal band and has yet to release a studio effort in 2018. 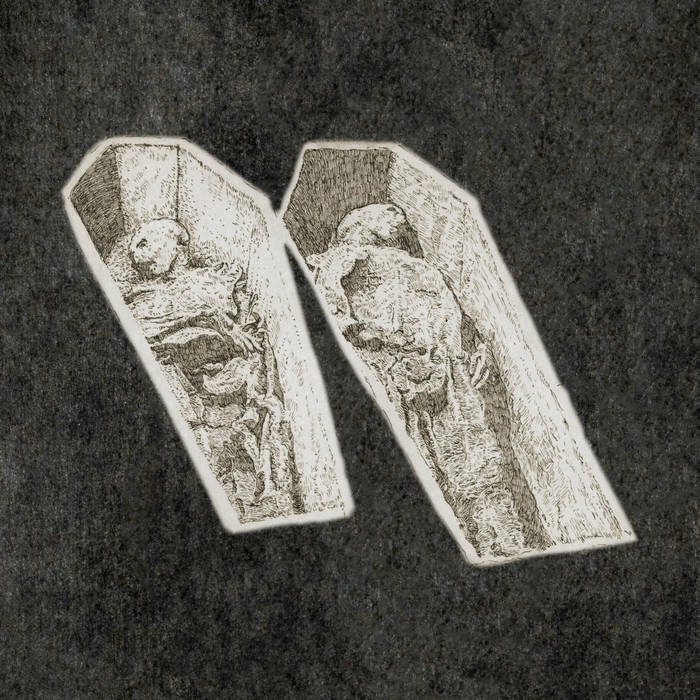 Both the Live for Death release and the 2018 Promo are live recordings which further casts grime on a band that lives in the sewers. 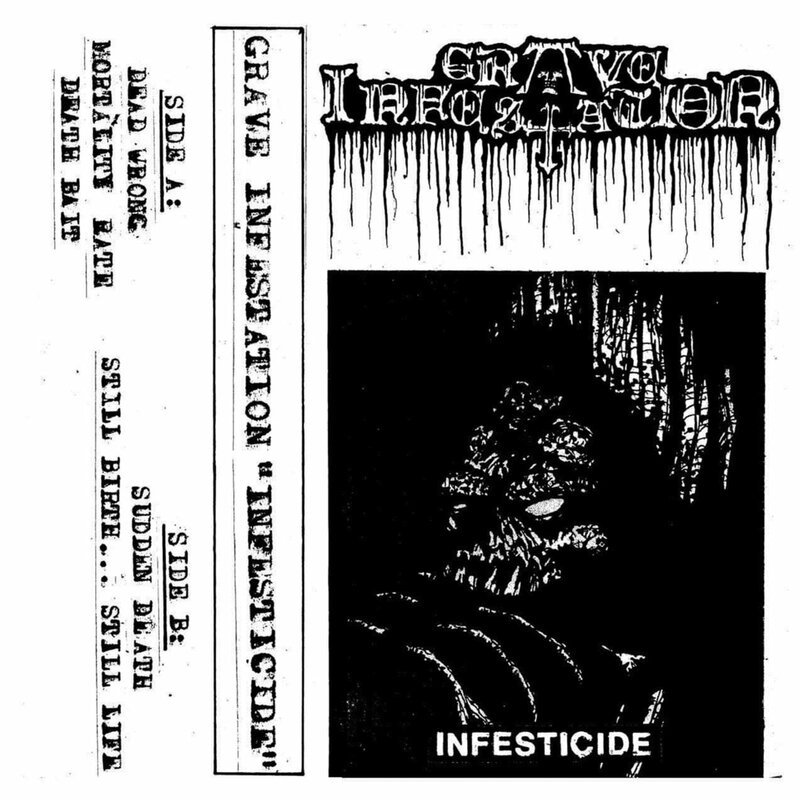 Perhaps 2019 will see new material from this band but for 2018, it is live recordings and cold flesh for the rest of the year. 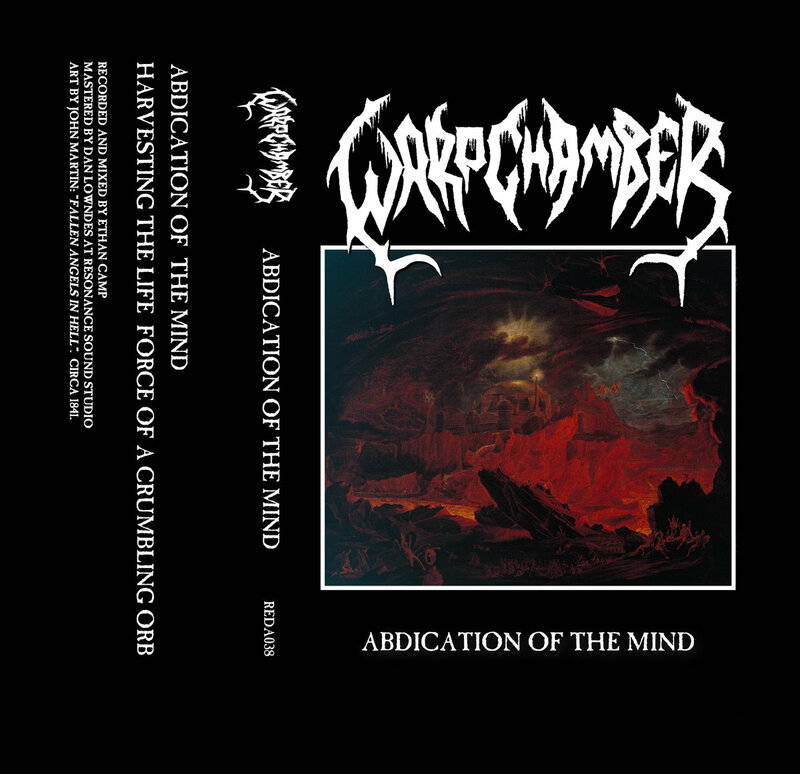 Warp Chamber’s demo was actually released in the early part of 2018 much to the knowledge of no one. In fact social media pages got creative when linking soundclips leaving 12 hours of Warp Engine drone to stand in for the band. 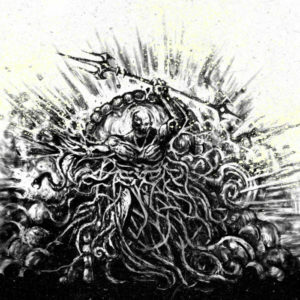 Only few knew about Warp Chamber until Redefining Darkness welcomed the band into the fold along other luminaries such as Skullcrush, Oxygen Destroyer, and Cist. True these names wont get you special seats for fine dining but it is a start. 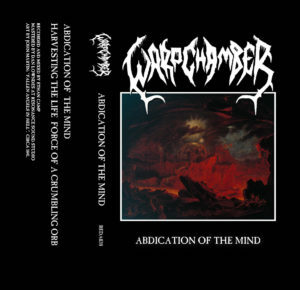 Much like other Redefining Darkness releases, Warp Chamber makes no apologies and breaks glass with old glass breaking techniques in the vein of Morbid Angel if the band read too many science fiction magazines. Come for absolution. Come for Obliteration. Azath as a band is related to the various world of Ripped to Shreds, Draghkar, Grave Spirit, and Begrime Exemious. The coalescence of talent and worlds could only result in high nerdy combined with what sounds like tombs being imploded and the dust settling on writhing undead bodies. This demo fits into the idea of a demo meaning it is a horrid stretch of things to come but for the people who digest this sort of thing on a regular basis, this is going to be filling for quite sometimes. Oh man, things are about to get dirty and by dirty I mean we are all going to be covered in grave soil and coffin dust. Seclusion is a pretty new band from the lands of Texas and by their unassuming debut, this act is aiming low to subterranean levels with a sound that feels as claustrophobic as a tomb collapsing with the weight of the Earth. 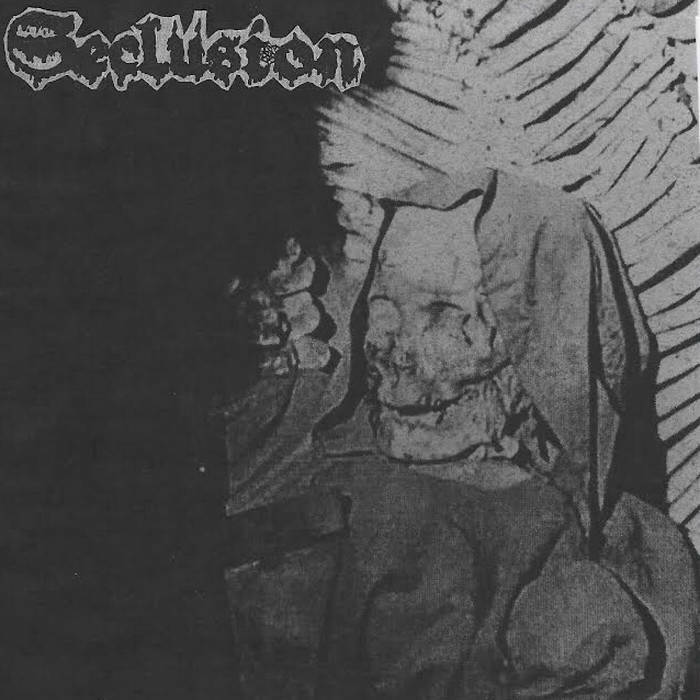 Seclusion’s sound rests on an air of attitude and style as the muddy production does less to draw people in as the heavy themes of occult ritual and slow death does for listeners to stay. 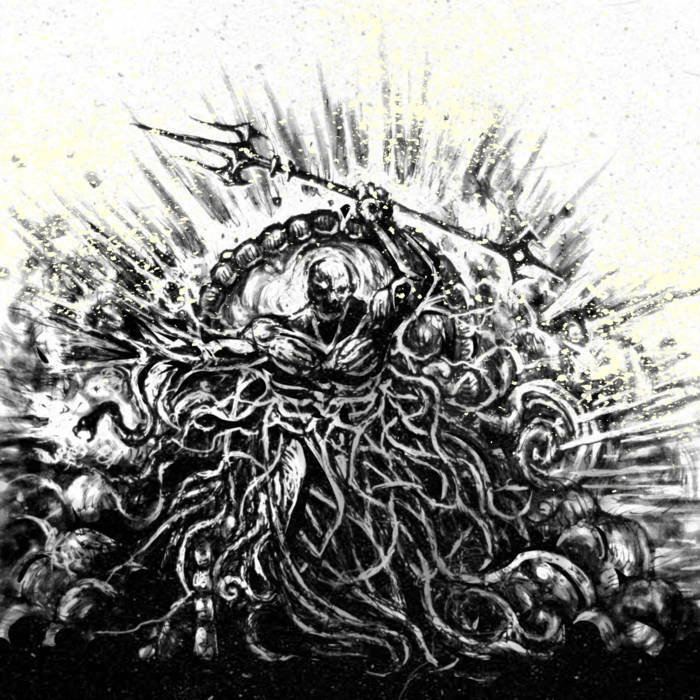 At only two tracks, Occultess Unknown presents a band that has all of the right aesthetics and beginnings for potential releases and while this demo does not punch through the soil and grab an unsuspecting leg, it does enough to raise interest or at least a little bit of trepidation of the things that are going on under one’s feet. If the sounds of “Burning Human Incense” are of interest to you, imagine what this act can do when they finally break out of their imprisoned tomb. I think I can count the number of doom albums on this site with relative ease as I could probably use two hands. Doom is not a genre I travel into or at least have patience to surround myself with. This does not mean there are not good records being made and great bands making them. For me there has to be something else outside of the doom to snare my attention. 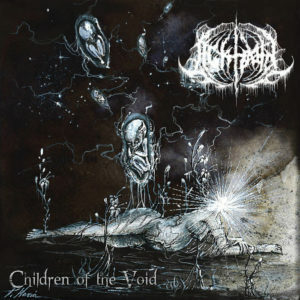 Lightpath, a very new Italian act, seems to have doom coming with their death metal friends and they all have rusty knives. This is the type of party I enjoy. Children of the Void is listed as a promo which could very much fall under the classification of demo. It is a three song showcase which lays out the tenets and intentions of the band which all are malicious and ugly. The female(?) vocals come snarling and add a rotting edge to music that is already adversarial. Outside of this sort of unique presentation is music that is well constructed and consistently remains intriguing. If Lightpath was intended to get attention with this promo/demo they have done so with music that is more fitting of a broken leg than anything resembling fun. It is nasty, harmful, without morals, and completely entertaining. Sure, the entire album could be terrible. It is a possibility. 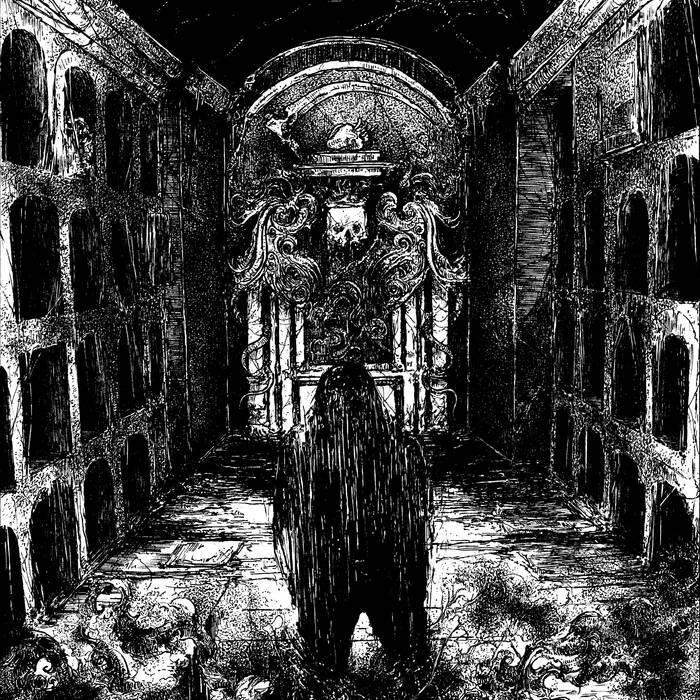 Döda Drömmar actually releases in a few days and all we are hearing from this debut full length is one horrid sounding track. While it is entirely possible that the rest of the album could be boring and uninspired the raw filth which exudes from the preview track is enough to cover a couple of album’s worth of releases. If I were going to put my money on anything it would be on the music that has mucus hacking and throat choking as ambience. ” ‘Mylingar’ is the plural of ‘myling’. 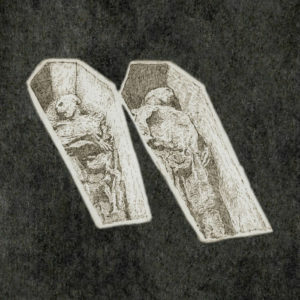 In Scandinavian folklore the word “myling” indicates a wandering ghost of an unbaptized child.” This is the factoid on the band’s Metal Archives page and it is mildly humorous in how far it goes into its own aesthetic. Little is known from this band outside of a 2016 EP so the band’s first full length, being self released, does not come with much attention of hype. Perhaps this is what underscores the raw sound which makes up the first track. From a style which sounds like OSDM drug through sewage to the raspy witch like vocals which actually make up the song, the release of Döda Drömmar is going to be interesting even if only to figure out just what the hell is going on inside of this world. Sure, this entire album could be terrible but I am a good judge of character and right now I am scared for my safety.